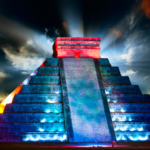 Chichen itza is the most famous, and one of the largest of the Mayan ruins in the Mexico State of Quintanaroo. It is located near Playa Del Carmen, and Cancun and should not be missed on your next vacation. 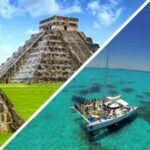 Playa Del Carmen Chichen Itza tours are affordable for the entire family, but most importantly an experience that will not be forgotten. The ruins are located approximately 3-4 hours from all the Riviera Maya hotel locations. 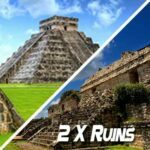 This makes for a long day trip, but anyone who has been to the ruins will tell you that it is most definitely worth the time spent to see this spectacular historic site. In fact the entire site of Chichen Itza is protected as a UNESCO World Heritage Site, recognized by the international community as having special cultural significance to our world’s heritage. 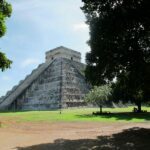 Recently one of the largest temples El Castillo was voted on and reintroduced as one of the New 7 wonders of the world! You owe it to yourself to get out here and see this while it is still in such a wonderfully preserved state. Many people that come to this Mayan site think that there is just one big pyramid to see. However those people would be wrong. The archaeological site of Chichen Itza is an entire ancient city that stretches deep into the jungle. There are a series of structures constructed for worship, housing, game playing, and a whole lot more. As you walk the streets of this ancient city, you will quickly feel connected to it’s interesting past. Luckily the heads will not be rolling, as religious extremes have toned down considerably since the Mayan times, but the nostalgia will certainly set in. Just think you will be walking on the exact same paths created for these ancient people who mysteriously vanished from these cities that they worked so hard to construct. Maybe some of your questions can be answered by the many Mayans living in the region today. They may have vanished from the ancient cities, but they are certainly still around to this day. Many still speak Mayan as their first language. So chances are you are probably interested in seeing this historical site. Question is, how does one do so? Well there are many different ways to get to the ruins, and everyone will have to choose their own path. We provide many different options for tours on this website, however some still prefer to drive on their own. For anyone considering the drive yourself option, here is what you are up against. You will first need to rent a car if you fly into Cancun, or Playa Del Carmen. You will also need your international drivers license stamp, and car insurance. 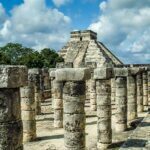 Once you have all of that squared away additional expenses will include gas, entry fees into Chichen Itza, relatively expensive toll roads, food, etc. If you want to be on your own schedule this is a viable option however you will not save much money, if any at all. 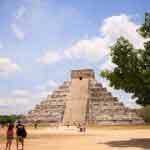 With our Chichen Itza tours options, all of these expenses are included along with much more. Most all of our tours include a guide in English and Spanish. They all include park fees for all of the listed activities, including ruins, cenotes, and more. 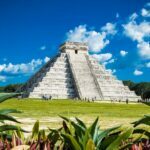 In addition many tour options include lunch, stops at Mayan Cities such as Valladolid, and other cultural surprises along the way. If you have a large family you need not worry, for children we always offer significant discounts to keep our tours competitively priced and affordable. These tours also include hotel pickups, to make your experience as easy as possible. Your only job is to roll out of bed, we will take care of the rest. 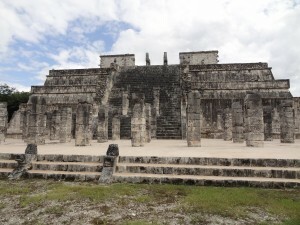 During your tour of Chichen Itza you will find a multitude of architectural styles. Most believe this to be due to it previously having the most diverse population of the Mayan world. It is believed that some of the architectural styles were brought down from central Mexico during a time of great cultural diffusion. It is no wonder that this became one of the largest cities in the Mayan world. One can only imagine the diversity that must have taken place, as Mayan´s from all over the country came to contribute and possibly live. Your guide during your tour will explain the meanings of all of the different structures at this World Heritage Site. You will learn about the ceremonies, the games, and the artistic influence of this ancient civilization. No stone will be left unturned, and all of your questions will be answered so be ready for an exciting day of adventure. This site truly is one of the 7 wonders of the world, and we are proud to be a part of your experience! 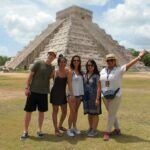 If you like this tour you may also like our Tulum Ruins Tour. Tulum was the last city built by the Mayan´s and is in close proximity to Playa Del Carmen, and Cancun.